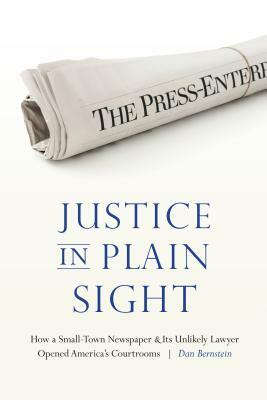 Justice in Plain Sight is the story of a hometown newspaper in Riverside, California, that set out to do its job: tell readers about shocking crimes in their own backyard. But when judges slammed the courtroom door on the public, including the press, it became impossible to tell the whole story. Pinning its hopes on business lawyer Jim Ward, whom Press-Enterprise editor Tim Hays had come to know and trust, the newspaper took two cases to the U.S. Supreme Court in the 1980s. Hays was convinced that the public—including the press—needed to have these rights and needed to bear witness to justice because healing in the aftermath of a horrible crime could not occur without community catharsis. The newspaper won both cases and established First Amendment rights that significantly broadened public access to the judicial system, including the right for the public to witness jury selection and preliminary hearings. Justice in Plain Sight is a unique story that, for the first time, details two improbable journeys to the Supreme Court in which the stakes were as high as they could possibly be (and still are): the public's trust in its own government. Dan Bernstein is a retired reporter, editorial writer, and general interest columnist for the Press-Enterprise newspaper in Riverside, California. He has won various state and national awards for column writing and is the author of two children’s books.